The Cuban Catholic Church does not rule out the possibility that the pope Francisco made a brief stop in Havana during his trip to Latin America. The spokesman for the Archdiocese of Cuba, Orlando Marquez, said that although no known formal invitations, the possibility exists. "It is known that the pope Francisco does not travel much, but do not rule out the possibility of a temporary stop, a short scale of a few hours, which may occur during the trip he plans to do to three Latin American countries next year" said Marquez, right hand of Cardinal Jaime Ortega y Alamino. 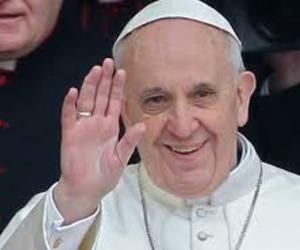 The spokesman said that the Catholic leader will also visit the United States in 2015 for the World Congress of Families. "That could also be an occasion" ventured. The alleged trip to Cuba in 2015 would be part of the succession of events in recent days, with simultaneous speech of Barack Obama and Raul Castro, who announced the resumption of diplomatic relations and acknowledged the role of the Pope to make this possible. "If the process of restoration of relations between Cuba and the United States advances, there would be nothing strange that, with their presence, wants to reaffirm this process that he has personally driven," said Marquez.